few months later they paid tribute to one of their favorite bands, Megadeth, recording a cover version of the song “Disconnect” for the album “Droogie-A Megadeth Tribute”. In August 2002 the band signed a two-record deal with local label NMC Music and their first album “Digital Crimes” was released a couple of months later. 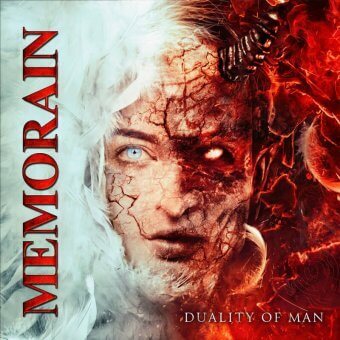 In 2003 Memorain released their second album “White Line”, featuring the legendary guitarist James Murphy (Testament, Obituary, Death, etc) . The band also contributed songs to numerous compilation albums. In September 2003 the band composed the music theme for Greece’s premier metal TV show, “TV War”, a TV show supported by the Greek Metal Hammer Magazine. 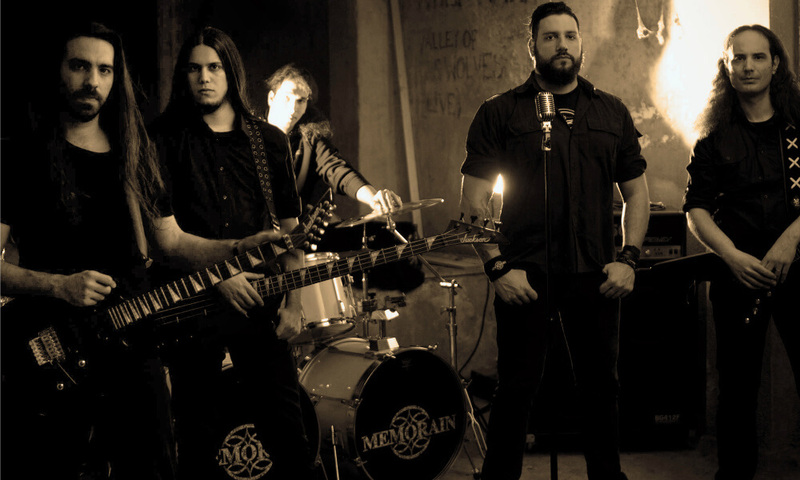 In September 2005 Memorain signed an exclusive contract with EMI Music Greece and two months later the band started recording their new album “Reduced To Ashes” with Nick Menza (ex-Megadeth) on drums and Jeff Waters (Annihilator), as a special guest. Recorded partially in Los Angeles- California “Reduced To Ashes” is to be released by EMI Music Greece in 17th, April 2006. Waters (Annihilator), released the album “Evolution” from the Canadian record label Maple Metal Records. The same year the band did their first headline tour in Russia! (Megadeth, F5), Jed Simon (Strapping Young Lad, Scar The Martyr) and Michael Gilbert (Flotsam And Jetsam) had participate as special guests. For the promotion of the album Memorain did three headline tours in Eastern Europe and in Russia. In Summer of 2014 the band entered in the studio to record 11 new songs for the upcoming album “Zero Hour”. The album was mixed by Jim Morris (Death, Kamelot, Iced Earth, Savatage, etc) at Morris Sound Studios in Florida and the mastering is from Alan Douches (Shadows Fall, Killswitch Engage, Mastodon, All That Remains, etc) at West West Side Music in New York. The cover of the album is made by Caio Caldas / CadiesArt Graphic (Dragonforce, Doro, etc). The album was released on December of the same year by Fono Music LTD in Russia Federation, Ukraine and Kazakhstan and for the rest of the world from Thanatology Records. In March of 2015 the band did a European/Balkan tour to support their latest release. In September of 2015 the band signed an exclusive deal with ROAR! Rock Of Angels Records IKE and immediately started the recordings for the upcoming album, “Duality Of Man”. The band’s new album will contain 11 songs and will be released in early 2016. “Duality Of Man” was produced by Ilias Papadakis, recorded and mastered at White Planet Studios in Athens, under the supervision of Vagelis Ziakas. The album will feature special guest appearances by David Ellefson (Megadeth), Blaze Bayley (ex-Iron Maiden), Michael Gilbert (Flotsam And Jetsam) and Steve Conley (Flotsam And Jetsam). The cover of the album was created by Caio Caldas (Dragonforce, Doro, etc).